If Amazon is a jungle, then Pay-Per-Click (PPC) advertising is the food chain. There are many things that can keep you from being profitable, just like there are many things in the jungle that can bring you to your demise. High CPC is a poisonous dart frog that drains your campaign budget. Spider Monkeys are like pesky reviewers who may be trying to steal your profit. Competitors are opportunistic jaguars that lurk in the shadows waiting to strike. Okay, sorry for scaring you, but the truth is you can rise to the top of the food chain. Amazon Sellers bid on keywords in an auction-style system.The seller with the highest bid and best ad quality wins the keyword. When a potential customer searches that keyword, the seller who won the keyword will appear on the search results page. This is an easy way of explaining it, but there are many parts to it. Our CEO, Michael got the idea of writing this mega-post after answering “How does Amazon PPC work” on Quora. I’m going to try to cover every basic topic in this post. If I don’t cover something important or didn’t explain a topic enough, please comment and I will get my furry badger paws to update the post. Paid traffic has an interesting history. It’s been around since 2000 and is both a science and art for many online businesses. It all started with Google AdWords (now called Google Ads). If you’ve done a Google search in the past 20 years, chances are you’ve seen some ads in your search engine results. In 2012, Amazon Advertising came into play by allowing vendors and sellers to show off their products on Amazon’s site. 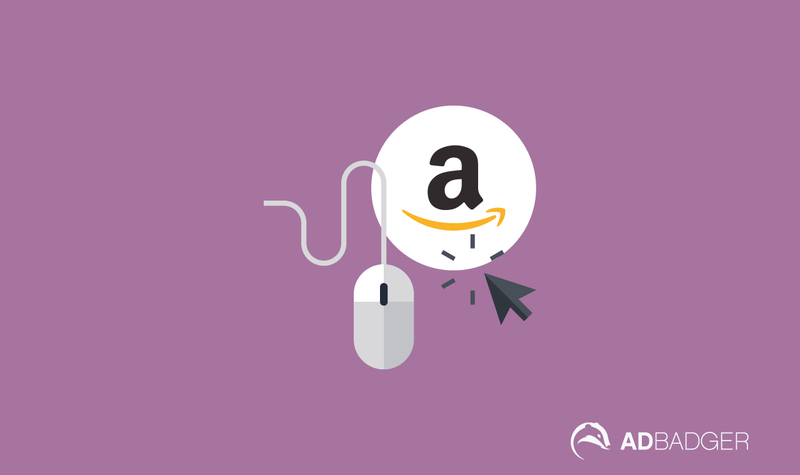 Here's everything you need to know about the difference between Google Ads and Amazon PPC. Save it, share it, love it. While Amazon Ads and Google Ads have different missions in life, they are close cousins. Amazon wants to present customers with ads they’re most likely to buy. Google wants to present searchers with ads they’re most likely to click on. Amazon bases their ad rank on profit, and Google bases their ad rank on CTR. If you’re interested, you can read more about the similarities and differences of Google Ads and Amazon Ads. PPC stands for “Pay-Per-Click” and means exactly what you think it does. When a potential customer clicks on an advertisement, the seller pays Amazon for that ad space. Keep in mind: sellers only pay if their ad gets clicked, not whenever the ad is displayed. Every ad you see on Amazon is a PPC advertisement, and for every time you’ve clicked an ad, a seller was charged. Is Amazon Advertising Worth It? Here’s a full post on organic vs paid traffic on Amazon. The red boxes indicate paid traffic and the prouducts underneath represent organic search results. conversely, if someone is doing $1k/day in PPC sales, they’re probably receiving $3k-10k/day in organic sales. A couple of weeks ago, Michael sat down with paid specialist from Quiverr to discuss the ratio of organic traffic to paid traffic. There are two selling platforms for Amazon sellers. Seller Central is for first-party sellers. Think of first-party sellers as mom and pop stores. Vendor Central is for third-party sellers. Think of third-party sellers as bigger companies. Vendor Central has more ad options than Seller Central and access to Amazon Marketing Services and Enhanced Brand and A+ Content. Available in Vendor Central through AMS, this feature gives you the option to add images, creative sales copy, and charts as a means to convince customers to buy from you. Like A+ EMC, Enhanced Brand Content allows you go deeper with your product descriptions. This is a free tool that can be a window for customers to look into your brand. Sponsored Brand Ads – Appear as a banner at the top of the search engine results page (SERP). This ad type is primarily for top-of-the-funnel customers, giving your product the opportunity to grab a customer’s attention before they precisely know what they want. An example of a Sponsored Brand Ad at the top of an Amazon search. Product Display Ads – Appear on product detail pages and only available in Amazon Marketing Services (AMS). These ads are used to sway customers away from a competitor page or appear on related product pages. They are mainly for bottom-of-the-funnel customers. You see a competitor's Product Display Ad on this listing. Sponsored Product Ads – Appear on the SERP and Product Detail Page. This ad type is by far the most popular on Amazon and appears in every step of the customer journey. They’re so awesome, I wrote a love poem about them (please don’t think I’m weird, though). Here's an example of Sponsored Product Ads. When creating an ad campaign, you will need to choose the keywords you want to bid on (note: each “keyword” can be more than just one word). Then, if a customer’s search term matches up with your keyword, your ad qualifies to display in front of the customer. Exact Match: Your ad will only show in front of the customer if their search terms match your keyword exactly (with the exception of plurals and slight mispellings). Phrase Match: As long as the customer’s search terms contain your keyword phrase (without being broken up by other words), your ad will qualify. Broad Match: The customer’s search terms just need to contain all the words from your keyword (but they can be in any order). That’s an extremely brief overview of keywords and match types. If you want to learn more, check out our complete guide here. If keywords are the search terms you want to show up for, negative keywords are the terms you don’t want to show up for (check out The Complete Guide to negative keywords). Negative Keywords can help you avoid wasting ad spend on irrelevant or unprofitable search queries. Amazon’s algorithm will only let your product show for relevant terms, so don’t worry about adding every keyword you can think of as a negative keyword. Negative keywords have only two match types: phrase and exact. Now let’s get to the good stuff. Starting to sell on Amazon can be daunting, but not after you read this. It’s tempting to bid high and try to get returns fast, but that strategy is doomed for failure. You won’t survive in the jungle without a good strategy. What is an Amazon Sponsored Product? Remember when I said Sponsored Product Ads are the most seen ads on Amazon because they show up at every point in the customer journey? Use Sponsored Products when starting out to get the best return on ad spend (ROAS). ACOS is like a teenager, complicated and a little moody. It’ll raise and lower each week and can be hard to control sometimes. ACOS stands for Advertising Cost of Sales or Advertising Cost Over Sales. What is the ACOS Formula? What is the Average ACOS? The average ACOS we see for Ad Badger users is 30.4%, but keep in mind that’s because they use a Amazon PPC tool to tame their ACOS. Before I answer this question. Figure out your Break-Even ACOS first. When starting out use the method Research, Peel, Stick, and Block (RPSB). This is a common strategy we inform Amazon sellers about. It’s a really easy way to gather data if you’re brand new to Amazon advertising. Research: Start out with an Auto Campaign and let it run for a week. This will gather data for you and inform you of your highest converting keywords and your lowest converting keywords. Keep in mind that Amazon has a 48-hour delay on metrics. Your conversion rate should be around 10% for Sponsored Products. Read about other metrics here. Peel and Stick: After you gained data on your keywords, take the top 20 highest converting search terms and place them into a manual campaign with an exact match type and bid higher. Consider these keywords the winner’s circle because you know these search terms will convert. I will go more into bidding in a second. Amazon Bidding Formula: The Average Order Value X Conversion Rate / 1 Over Your Target ACOS = What You Should Be Paying Every Single Click. We even wrote a post with a free bid calculator included! Amazon’s ad ranking algorithm or A9 is attracted to ads that have a history of selling, thorough descriptions, and plenty of reviews. Amazon uses performance and relevance metrics to determine ad quality. Amazon isn’t fully transparent about how it ranks ads, but given Amazon took a lot from Google Ads, we’ve concluded this is the closest to how Amazon determines ad rank. The best way to get good reviews on Amazon is to provide a good product, be patient, and be transparent with your product descriptions. Customers don’t like when they pay for something they didn’t know they were buying. We do not support incentivized reviews because it’s against policy and Amazon will suspend your account and prevent you from selling on their platform. But, here are some ways to fight bad reviews on Amazon. When it comes to your ad spend and profit, you want the best support to answer any questions you have to give peace of mind. Controlling wasted spend on Amazon ads influences your profit and overall ACOS for your campaigns. No one wants to spend money they don’t have to. Look for an Amazon PPC tool that prioritizes reducing wasted spend. Keyword research is also essential to great Amazon PPC campaigns. Positive and Negative Keyword automation can really take your account to the next level of profit and ad ranking. Find a software that automates keyword research to discover what keywords are most successful for your product. There’s your crash course into Amazon advertising. The jungle is yours now that you know how to rise to the top of the Amazon PPC food chain. Remember to sign up for our newsletter for more Amazon advertising content and free resources. If you want to take Ad Badger for a spin, sign up for our 30-day free trial today!